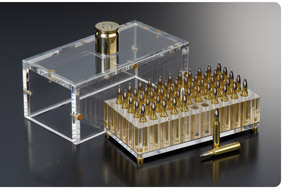 Technoframes Ammo Carriers and Display Cases. 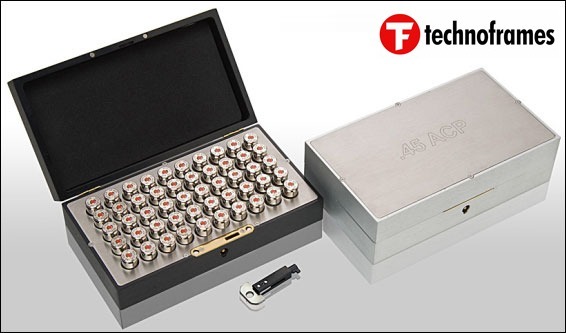 These CNC-machined display boxes look great. There are many varieties to choose from, including wood, metal, and plexiglass. We like the fact that many of the boxes are lockable. 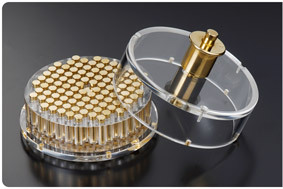 This unique moon/de-moon tool set retails for $80 and is available from Randell Kenner, 3111 Lien Street, Rapid City, SD 57702, (605) 605-348-3538, bmtmooner@rushmore.com. Moon Clip Tool photos courtesy www.ApexTactical.com. This Ultimate Discrete Rifle Case, produced for LWRC Int’l by Blue Force Gear, stows a tactical carbine inside what appears to be a guitar case. 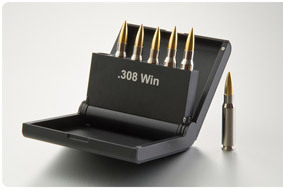 Looks nicely made, but when you think about it, why pay $149.99 for the “Ultimate Discrete Rifle Case” when, for forty bucks or less on eBay, you can buy a real “previously-owned” guitar case that will do the same job — and be even more stealthy. 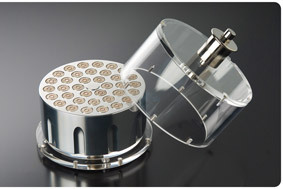 You should visit the Personal Armament Podcast Site. 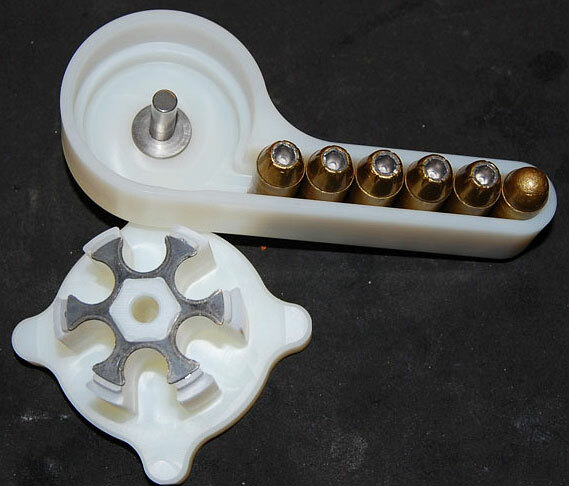 Launched in 2009, this website features dozens of podcast interviews with interesting folks, including 2010 National Long-Range Champion John Whidden, Chris Hodgdon of Hodgdon/IMR Powders, and Kevin Thomas from Nammo Lapua. Share the post "Holiday Gift Guide for Yuppie Shooters"
If you get the Outdoor Channel, tune in to the ShootingUSA hour of programming tonight. The first half-hour features the Fort Benning 3-Gun Match, one of the most popular multi-gun matches of the year. This is the only Multi-gun match that draws on the assets of the US Army — that means competitors get to ride in armored fighting vehicles on some stages. 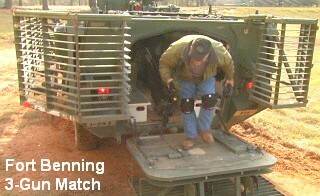 This year the match was designed to represent different army units, beginning with basic training and a DI yelling commands at the competitors. 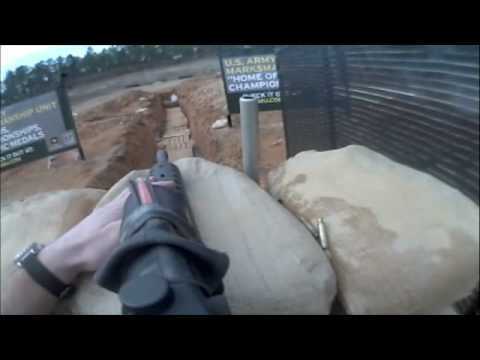 Below is some helmet-cam footage shot by our friend Zak Smith at the 2008 Fort Benning 3-Gun Match. In this stage, which was based on a “Sgt. York” scenario, Zak starts in the back of a Bradley Fighting Vehicle and proceeds into a trench system to engage pistol targets. The “Sighting In with Shooting USA” half-hour follows the Fort Benning feature. On this week’s “Sighting In” segment, soldiers from the US Army Marksmanship team (USAMU) action shooting team conduct a skills clinic for young shooters. This clinic focuses on basic skills and safety training. 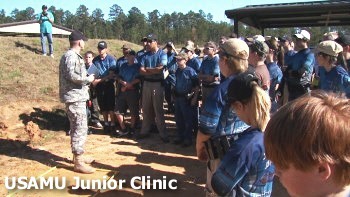 The USAMU Kids Clinic is the effort to help expand participation in practical shooting, and develop future champions in USPSA competition. NOTE: Set your DVR to record both Shooting USA and Sighting In, listed as half hours. Share the post "Fort Benning 3-Gun Match on ShootingUSA TV Today"